For a night out, add some edge to a simple dress by topping it off with the vest. 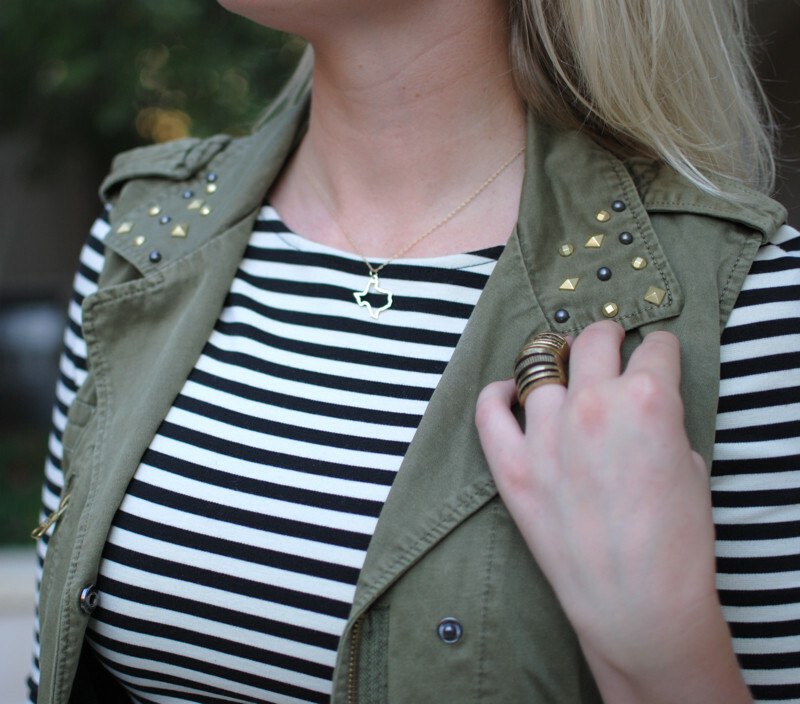 Try a busy pattern like stripes so that the vest doesn’t completely take all of your attention. Dress it up with heels and some pretty jewelry and you’re good to go! Stay tuned for another “One Piece / Three Ways” coming at you soon!